This unit has USB3 ports although you would only know it by speed of transfer as they do not have the blue middle bar that normally denotes these ports. A rather nice business notebook with a range of security features from both Intel and HP. The items not immediately available on this unit are available via a dock, so you not end up taking extra weight out and about with you. Most ultraportables we test are dumbed-down MacBook Air clones with cheap construction and low-grade components. That's why it makes a particularly refreshing change to find a Windows laptop that not just matches but surpasses Apple's popular ultraportable in a key area like screen quality. The price is much higher than even the Retina-display 13-inch MacBook but if you must have a laptop built for Windows that can make a statement in build quality and top-class components, check out EliteBook Folio 1040 G1. The EliteBook 1040 G1 is smartly designed, well constructed, with a premium look and feel. This slim business ultrabook ticks all the right boxes in terms of aesthetics and build. It is not the fastest ultrabook we’ve tested this year. It’s fast, faster than most laptops you’ll encounter, but just not the fastest. On that front, the EliteBook Folio 1040 G1 holds up well. The balance it strikes leans further toward portability than it does power, and you certainly get a slim and relatively lightweight machine for your roughly $1,600. Those looking for something to do heavy-duty video processing should probably look to a higher-spec machine, but for everyday tasks it’s certainly sufficient. The HP EliteBook 1040 G1 (G4U67UT) skips a removable battery and built-in VGA and Ethernet for a thinner build. It's a good fit for an office that's buying all of its users new PCs in one swift stroke. However, the Dell Latitude E7440 Touch continues as our Editors' Choice for business ultrabooks with better connectivity, including Ethernet, HDMI, and nn additional USB 3.0 port, plus it comes with a longer-lasting, removable battery. 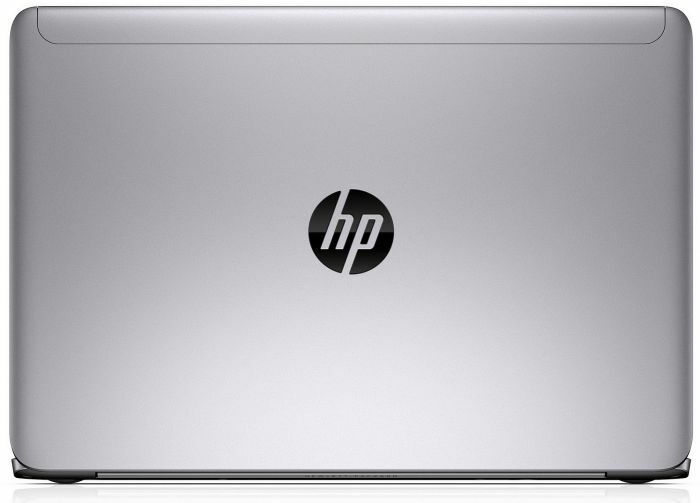 HP's 14-inch EliteBook Folio 1040 G1 combines ultrabook elegance with MIL-STD 810G robustness. It has a great screen and performs well, but lacks integrated VGA and Ethernet ports. You'll pay a premium price too. When I used the HP EliteBook Folio 1040 G1 for a full day of work the battery lasted for just under seven hours on a single charge. That’s shy of HP’s 9.5 hour claim, but PC vendors typically publish battery life claims with testing done in ideal conditions. I, on the other hand, generally use notebooks at or near full screen brightness and have several applications and browser windows open at the same time. The bottom line for the EliteBook Folio 1040 G1 is that it's an Ultrabook tailored to the enterprise market. It has the build quality, and the management and security features that should appeal to many IT admins, though the price for the basic configuration, and some of the connectivity and input device choices are questionable. HP hits many of the right notes with its EliteBook Folio 1040 G1, but it’s not perfect. It’s supremely thin; it has a great keyboard and an innovative trackpad; and it has very good security features that don’t require you to pay for features of interest only to enterprise users. When the traveling gets tough, the Folio will need to belly up to the AC tap every night and often in between, but not as often as Lenovo’s X1 Carbon. In terms of pricing, the Folio costs about the same as Acer’s TravelMate Pro; and it’s $310 cheaper than Lenovo’s best Ultrabook. The HP Elitebook Folio 1040 G1 is a capable powerhouse system for business executives, executive assistants, mid-level engineers, and anyone else who merits a power-user's system. It's fast, has numerous security features, WWAN, and the innovative ForcePad. However, the Dell Latitude e7440 Touch holds on to the Editors' Choice for high-end business ultrabooks because of its mix of traditional and forward-looking business-friendly features, like a touch screen, dual pointing devices, HDMI, a removable battery, a wireless dock support, and longer battery life. A touch screen may not be necessary for a business still working on Windows 7, but you can be sure it will be necessary if and when your business updates to Windows 8. Overall, there are a lot of reasons to like the EliteBook Folio 1040 G1. Its aluminum unibody chassis is gorgeous, lightweight, and extremely durable. The laptop also gets high marks for innovation, including its pressure-sensitive touch pad and extensive security tools. We liked that HP includes a Windows 8 license with every machine, making it easy to switch operating systems when you're ready. The HP EliteBook Folio 1040 is a straight shooter; it’s a well-rounded business Ultrabook that ticks the right boxes. Our long list of likes for this product include its excellent overall quality; the hybrid business/consumer friendly design; good backlit keyboard and innovative touchpad (or ForcePad as HP terms it); satisfactory overall performance; extensive business security features; satisfactory battery life and it even has decent speakers. The cons list is relatively insignificant: the media card reader accepts micro SD only and accessing the internal components is difficult. 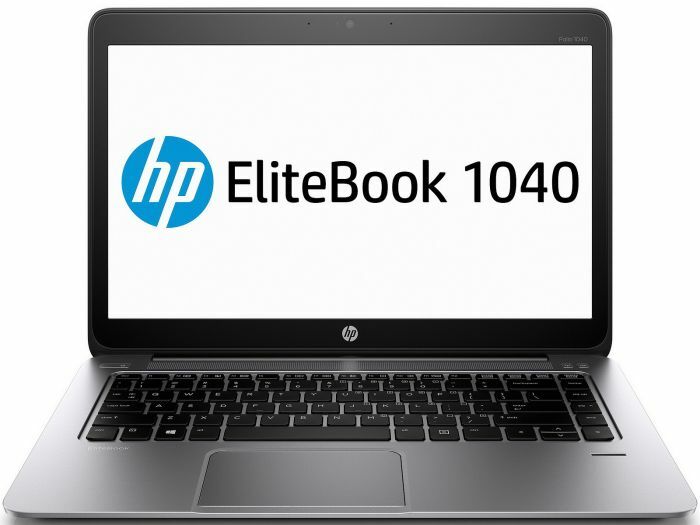 We’re pleased to recommend the HP EliteBook Folio 1040 for businesses and consumers alike; the premium price buys a premium product with unusually few compromises. Packing big power in a stunning and sturdy design, the HP EliteBook Folio 1040 G1 (starting at $1,299; $1,979 as reviewed) is one of the most impressive business Ultrabooks we've tested. The notebook's military-tested shell and vast security software suite will help you keep your investment -- and your data -- safe, and the G1's long battery life will keep it running during a cross-country flight. 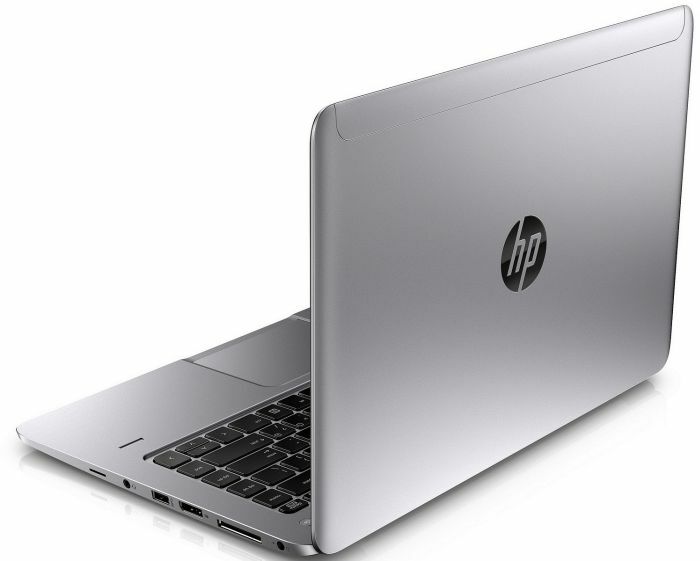 85% HP EliteBook Folio 1040: l’Ultrabook per utenti business! Positive: Excellent workmanship; very slim and light; brilliant display; efficient and very quiet cooling system; very good keyboard; good security. Negative: Expensive. Positive: Slim and lightweight; solid magnesium case; fingerprint scanner. Negative: Low screen resolution; high price; short battery life; relatively small amount of RAM. Positive: Great stylish design; wide viewing-angle, excellent color reproduction and high contrast of the display; decent sound system; compact size; quiet operation. Negative: No discrete graphics card. Positive: Good design; full HD display; very comfortable keyboard. Negative: Poor touch response of the screen; relatively expensive. Positive: Good screen; good ergonomics; pretty hefty design; comfortable keyboard. НР EliteBook 1040 H5F65EA – максимална скорост, минимални габарити. Positive: Slim design; lightweight; high performance. 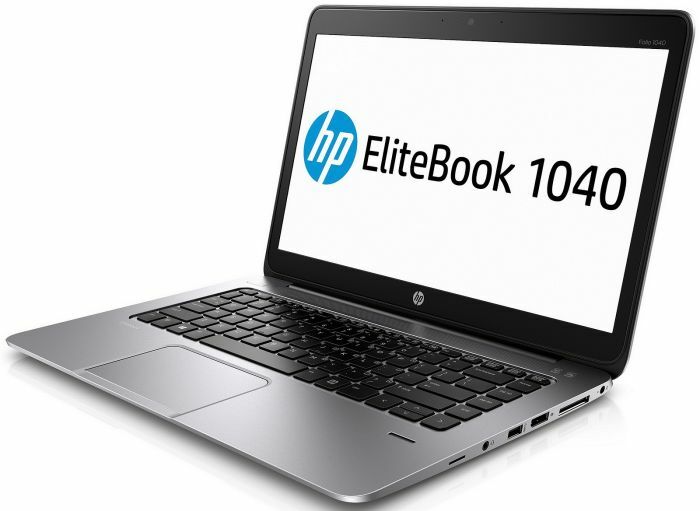 The HP EliteBook Folio 1040 G1 is a laptop geared towards business. The sleek and elegant design is not only easy on the eyes but made with strong material to ensure it is robust and tough. Although the main features of this laptop is not its hardware specifications, it does not come ill equipped. It features an Intel i5 core processor with 1.9 GHz and an integrated Intel HD Graphics 4400 card. This will ensure smooth usage through emailing, document editing and presentations. 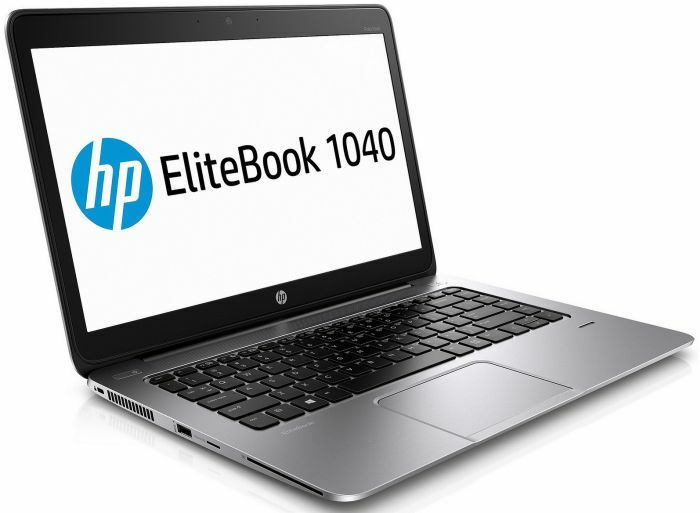 The most noticeable and attractive feature of the HP EliteBook Folio 1040 G1 is its thickness. The slim 0.63 inch (1.6 cm) laptop weighs only 3.4 pounds (1.54 kg) making it very easy to travel with it. The HP EliteBook Folio 1040 G1 also sports a 14 inch display with 1920 by 1080 pixel dimension providing vivid colors and good contrast. HD videos can be played and enjoyed. Since it is very thin, there are some ports which had to be removed. One of such is its VGA port which is fairly useful in the business world. This can be easily replaced with an external adapter, however. The Ethernet port is also removed, making wired internet connections a bit fussy now. It does, however come with the usual WiFi and Bluetooth capabilities. In a nutshell, the HP EliteBook Folio 1040 G1 is a laptop made for business. It is capable of being quite a powerhouse and features many safety features to help keep data safe. Sadly, it does not come with a touchscreen. Series: HP aims to offer the world's thinnest and lightest business-class notebooks in the HP EliteBook Folio 1040 series. It features a durable body from aluminum and its 180 degrees hinge allows it to lay completely flat. According to HP, it passed MIL-STD 810G testing. The latest Core i processors, up to 16 GB of RAM and an SSD make for decent performance. The matte 14-inch display features FHD resolution and the keyboard is spill-resistant. A long battery life increases mobile productivity. The latest Windows Pro version is pre-installed, but Windows 7 Professional 64-bit is available through downgrade rights. You might find the right notebook in this series if you are looking for a robust, portable business laptop.